Children are exposed to alcohol marketing via social media, videos, television, magazines, and radio. The alcohol industry pours millions of advertising dollars into media trying to influence your children's choices and win their loyalty. They use digital and social media effectively and blur the lines between advertising and content. Alcohol brands also sponsor events, organizations, and causes to get their names in front of the public, including youth. There is a reason for that. There are many longitudinal studies that link youth exposure to alcohol advertising to the likelihood that kids will begin drinking early or if they have already started drinking, drink more. Most parents want to keep their children away from alcohol as long as possible. Early onset drinking can cause problems not only while they are still teens, but also later in life. Discussing the dangers of underage drinking with your middle-school age or younger children is one step in protecting them from the pressures and enticements of drinking. The Center on Alcohol Marketing and Youth (CAMY) at the Johns Hopkins Bloomberg School of Public Health is a watchdog of the alcohol industry and its advertising practices. What their research has found might be disturbing to parents trying to keep their children away from substance abuse. The alcohol industry has voluntarily imposed a 30 percent limit on itself for the size of the underage audience for its advertising, but study after CAMY study has found that America's youth are exposed to much more booze advertising. Research has found that parents have a good reason to be upset by alcohol marketing. One study found that for each dollar the alcohol industry spends on youth advertising, young people drink 3 percent more each month. Each advertisement viewed by the 1,872 teens surveyed resulted in a 1 percent increase in the number of drinks consumed that month. Young people in markets where there is a saturation of alcohol advertising tend to keep increasing their drinking over time to the point that they consume an average of 50 drinks per month by age 25. 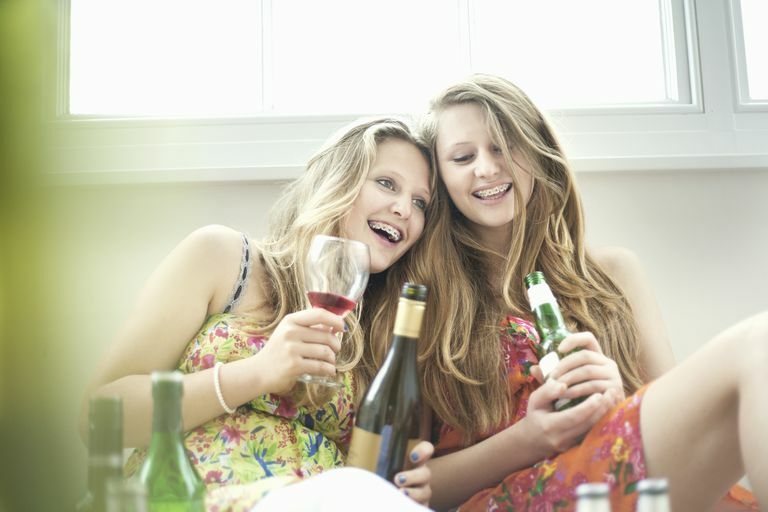 The bottom line is, the more advertising young people see, the more they drink. CAMY researchers found that many of the ads placed in magazines with a high youth readership and on radio formats that appeal to ages 12 to 20 are for beverages that appeal to young drinkers. Drinks known as low-alcohol refreshers and "malternatives" are advertised specifically in the youth market. A five-year study of magazine advertising found that 23.1 percent of ads for adult alcoholic beverages appeared in magazines with high youth readership, and almost double that number (42.9 percent) of ads for youth alcoholic beverages were placed in the same magazines. Another study of radio advertising found that young people age 12 to 20 heard 8 percent more beer and ale advertising and 12 percent more malternative advertising than adults. Surprisingly, youth heard 14 percent more ads for distilled spirits or hard liquor. The study found that 73 percent of alcohol radio advertising was placed on stations with Rhythmic Contemporary Hit, Pop Contemporary Hit, Urban Contemporary, and Alternative formats, the type of music that attracts a disproportionately large listening audience of 12- to 20-year-olds. Other studies have found that alcohol ads are targeted at specific groups deemed more likely to be vulnerable to the advertising message. Researchers found that magazine ads targeted girls more than boys with ads for beer and ale, distilled spirits, and low-alcohol refreshers. Black youth is another group targeted by the alcohol industry. A CAMY study found that black teens were exposed to 32 percent more ads in magazines, 17 percent more on television, and 20 percent more distilled spirits ads on the radio. The study found that black and Hispanic communities were particularly overexposed to radio advertising. Hispanic youngsters heard 34 percent more beer and ale ads on the radio than Hispanic adults. You've seen and heard commercials from alcohol advertisers reminding you of the dangers of underage drinking and warning against drinking and driving. But the truth is those ads are rare. CAMY found that underage drinkers were 400 times more likely to see an ad for a specific alcoholic beverage than they were to see one discouraging underage drinking and 188 times more likely to see a booze ad than an anti-drunk driving ad. The study found that advertisement for alcoholic beverages outnumbered the industry's "responsibility" ads by 226 to 1. In today's culture, parents trying to prevent their children from underage drinking not only have to worry about peer pressure but also about pressure from the alcohol industry which is pouring millions into advertising into media that attracts young people. You can't assume your child is unaware of different alcohol brands and isn't being swayed towards early use. Center on Alcohol Marketing and Youth. Youth Exposure to Alcohol Product Advertising on Local Radio in 75 U.S. Markets, 2009. Jernigan D, Noel J, Landon J, Thornton N, Lobstein T. Alcohol marketing and youth alcohol consumption: a systematic review of longitudinal studies published since 2008. Addiction. 2016;112:7-20. doi:10.1111/add.13591. King, C. et al. "Adolescent Exposure to Alcohol Advertising in Magazines: An Evaluation of Advertising Placement in Relation to Underage Youth Readership." Journal of Adolescent Health. December 2009. Siegel M, Ayers AJ, Dejong W, Naimi TS, Jernigan DH. Differences in alcohol brand consumption among underage youth by age, gender, and race/ethnicity – United States, 2012. Journal of Substance Use. 2014;20(6):430-438. doi:10.3109/14659891.2014.942402.